When I get those infamous emails from Twitter notifying me of a new follower one of the first things I do is look at is that users following/followers ratio. This isn’t my only determining factor but if their ratio is too far in one direction I usually don’t follow them in return. I have read on a couple of occasions that the following/follower ratio isn’t only significant to the way other people on Twitter view you but also has some form of an impact within a Twitter algorithm. It is important to note that I have never actually seen evidence to support this but the ratio shouldn’t be taken lightly regardless. 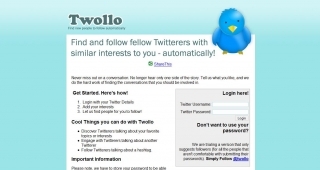 After discovering Twollo you may be tempted to auto follow thousands of people, don’t do it! Very similar to real life, people don’t like tag-a-longs who offer little or nothing to the conversation. I can guarantee you that you will be a nuisance and of little value to anyone. So now that you know about Twollo it’s time to ask another question. How do you know the friend status of those you are following? Are they following you in return? These questions are easy to answer when you have a hand full of friends but anyone who has attempted to compare Twitter’s following and follower list after you exceed a hundred or more friends will tell you it is damn near impossible. 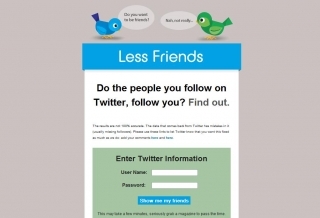 The second service/website I’m going to introduce you to is LessFriends.com which is wonderful tool. LessFriends provides you with an entire list of your friends and highlights their status, whether you follow them, they follow you, or if it’s a mutual relationship. This is extremely useful because you don’t want to be following a large number of people who don’t follow you in return. There are some circumstances where it’s perfectly appropriate to follow and not be followed in return. To list a couple of the exceptions, first off, you may want to follow news organizations to stay up to date on breaking news. Secondly, it’s okay to follow Twitter users who you can learn from. I’d say it’s probably a good idea to follow users who are directly related to your interest but even I follow some random people. An example would be Gary Vaynerchuk who I find absolutely hilarious, but he blogs, tweets, etc… about wine and I’ve always been a beer guy. Who cares? That is the idea behind Twitter, following people who you find interesting. There are some downsides to using services like Twollo.com. You may end up following some people or organizations that you’d rather not. This happened to me when I used Twollo to follow people using the keyword “Knoxville” which is the region I’m from. I ended up following a couple of churches in the Knoxville area. I’m not anti-religious or anything but I really didn’t want to make sure all of my tweets were church appropriate if you know what I mean. So be prepared to have some unexpected results from Twollo. 1.) Setup a Twitter account (If you haven’t already done so). You’ll also want to add basic information (Be honest and interesting) and more importantly a picture of yourself or company logo. The more memorable and or unique your avatar is the better (Within reason of course). You may find it useful to add a custom wall paper to your Twitter profile as well. Also add a few tweets to show you’re human and not some spam bot. 2.) Head over to Twollo.com and break the social ice by starting an initial campaign. I would suggest starting with a few different keywords related to your interests but don’t follow more than a hundred people initially. Pick three or so keywords and follow between 10 – 30 people for each one. You’ll immediately (within an hour) start seeing results but you will notice that not everyone follows you in return. Can you blame them? They don’t know you and you’re profile likely doesn’t have much substance to it yet. 3.) Start contributing to the vast and informational community that is Twitter. Add quirky tweets, share interesting websites, articles, information, ReTweet interesting and useful tweets from those you are following, and get involved in the conversation, interact with your fellow tweeters by replying to their tweets. If you have any questions, just ask. You’ll be amazed at how helpful the Twitter community is. Have Fun! 4.) After at least two days have passed since you started your initial Twollo campaign it’s now time to head over to LessFriends.com. Why two days you ask? What’s the point of following people if you don’t give them an adequate amount of time to follow you in return? Giving at least 48 hours in between campaigns is a good idea for a number of reasons but remember that most people receive notifications from Twitter when they get new followers. How tacky would it be if someone gets an email saying that you are following them and when they head to your profile to check your tweets out they see that you are no longer following them? 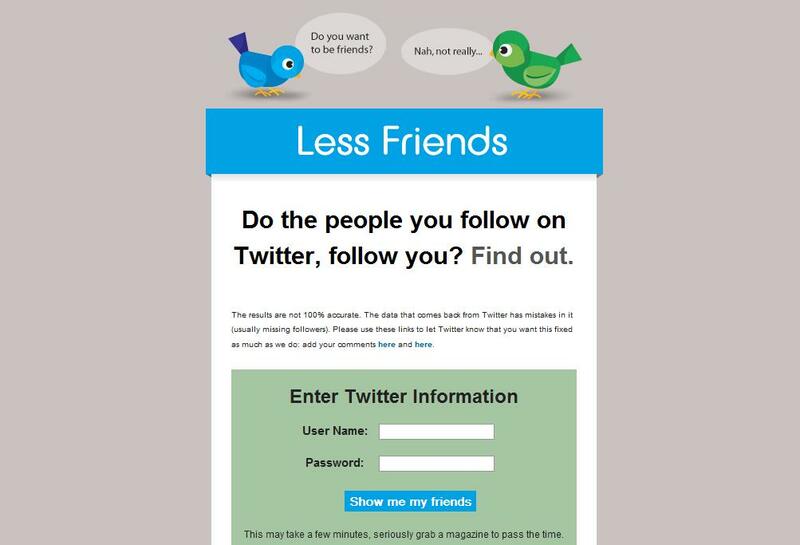 Now that you are on LessFriends.com you should be looking at a detailed list of all of your Twitter friends. Keeping in mind the people/companies you’re willing to follow without being followed in return, start un-following the people who haven’t returned the favor. If they aren’t people who you can learn from there’s not much sense in following someone who doesn’t want to follow your tweets. 5.) Head back to Twollo.com and begin the process again. Follow more people using keywords pertinent to your interests and continue the cycle until you are happy with the number of followers you have. Make sure and continue giving at least 48 hours in between cycles and don’t get too crazy with the amount of people you follow in each cycle. Following too many people can hurt your following/followed ratio and result in a lot less people following you in return. I follow Perry Belcher on Twitter and watched a couple of his social media videos on YouTube the other day. Take a minute and watch Perry’s video below and pay extra close attention to rule # 7. Don’t be an A$$hole! These amazing Twitter tools can do a lot to help you establish your presence and reach on Twitter but if you’re an A$$hole you won’t make it very far on Twitter or any social network for that matter. When asked for advice I recommend being yourself on social networks but that only applies if you’re fun, interesting, or have something to add to the never-ending conversation that is social media. So if you don’t fall into any of those categories you have two options, pretend that you are fun or interesting or STAY off of the social networks. A friend of mine has informed me of an alternate to LessFriends.com and I must admit it works great. TwitterKarma The overall interface isn’t as pretty as LessFriends.com but the feature set makes up for the lack of design. With Twitter Karma you can perform mass follow/unfollow in addition to a couple of different sorting options. I’ve been using this and it also allows for user images so even if you don’t recognize the name, you may remember the users avatar. You can sort the people by who ONLY follows you, who you ONLY follow and who your mutual friends are. Then Karma has the ability to mass follow/unfollow groups of people. That is a great find Koka and I will certainly check it out. There was definitely some things I would add and or change with the two services listed in this post and mass editing was one of the biggies. This article is great! It’s easy enough for me to understand as a complete beginner to all of this. I printed it up and am studying it and hopefully I will get the confidence to get going on it. 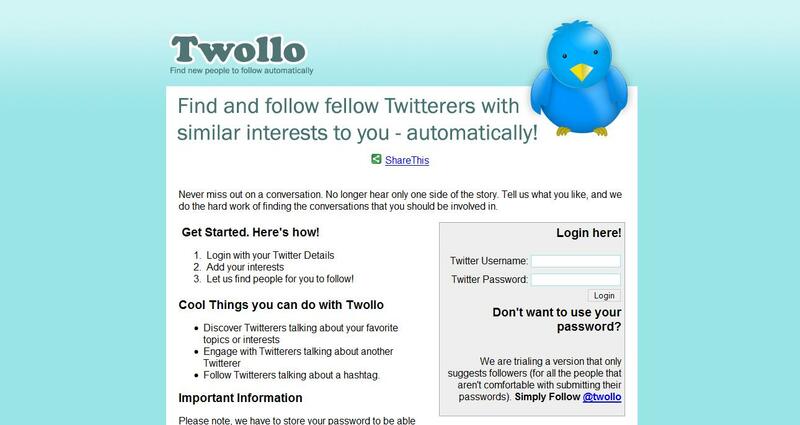 Thank you, I know many of the twitter applications, but didn’t know about twollo, I will try it soon. hi, thanks for the sharing, i am trying out twollo now!